Kate Winslet plays a woman with a troubled past who comes back to her hometown. She was sent away as a child for the murder of a boy. But, no one could prove she was responsible for his death. Years later she returns home to seek revenge and the truth! 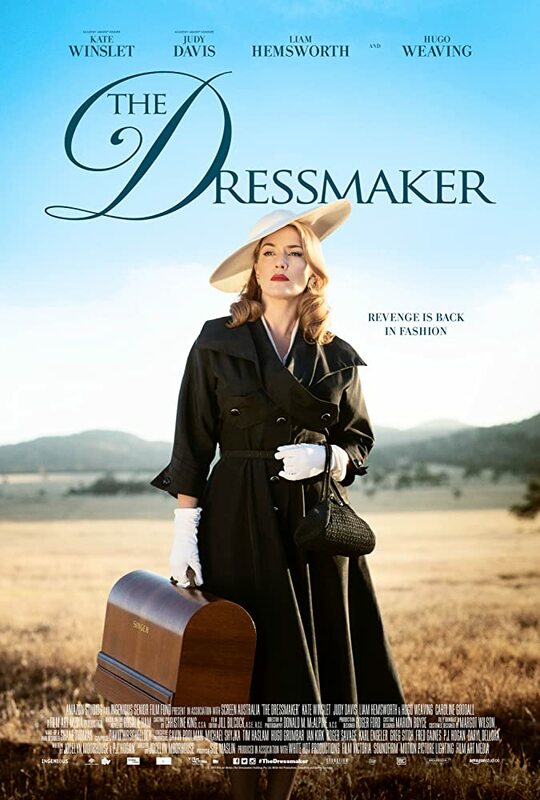 Lots of twists and surprises that are entertaining; all from her skills as a dressmaker! See more at IMDB! 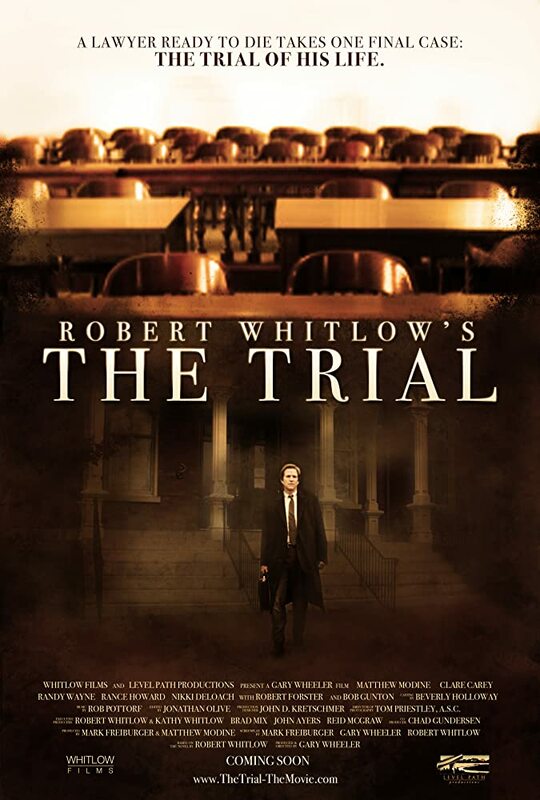 "The Whole Truth" and "The Trial"
Double whammy on two "trial court movies". The first has Keanu Reeves and Rene Zellweger in a trial where Rene's son killed his father. 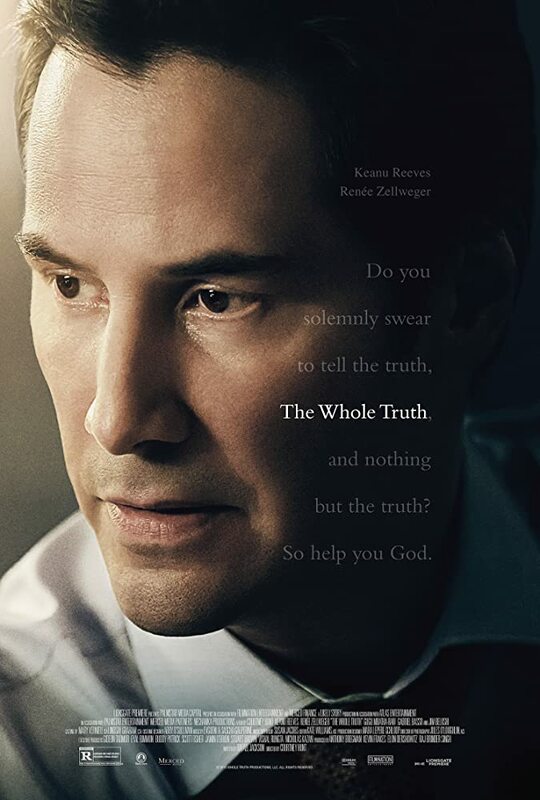 Keanu is their lawyer, and is there to plead the son's case... the ending puts a twist in things. Did not figure it out until close to the end. The second has Matthew Modine as a lawyer who has quit his practice due to the loss of his family. On the brink of suicide, he called by a judge to be the Public Defender for a capital punishment case where his client is a man accused of murder but cannot recall anything about the event. 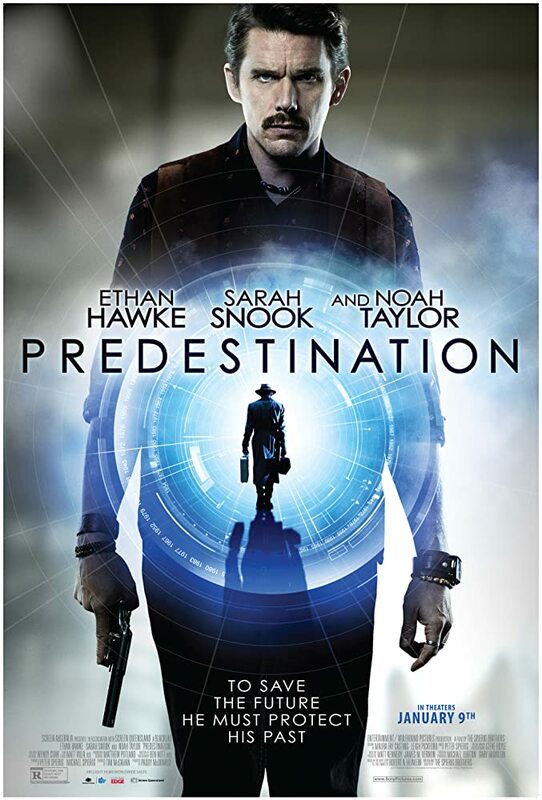 Movie with Ethan Hawke that twist and turns and confuses as Ethan moves about through time traveling in the past to ensure a better future. In the end, left the movie wondering if the outcome would be plausible (assume time travel is possible, then think about it). For more, see IMDB. Been watching movies since we signed up for Amazon Prime. Found some older releases that are entertaining. This one has Rene Zellweger and Harry Connick, Jr. as Corporate Business Woman and Union Representative, respectively. Rene is tasked with modernizing and eventually downsizing a food plant in Minnesota; Harry is there to make sure the employees are supported. Funny and entertaining, plus it was included with an Amazon Prime account. Safe first date movie, too!